The area is covered by the South Oxhey branch of South West Herts Labour Party and, in Oxhey Hall, by Watford Labour Party. exists to contest elections at European, national and local level in order to advance our values and policies. 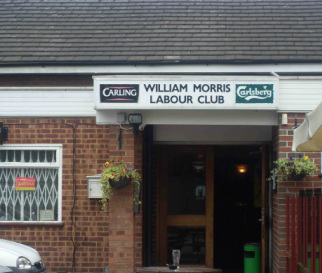 In South Oxhey, our members meet informally once a month at the William Morris Social Club, Henbury Way. In between meetings, we work with the local community on campaigns on a variety of issues. Watford Labour Party meets once a month at the Trade Union Hall, Woodford Road. Please feel free to contact us about any matter. Perhaps you don't want to join the Labour Party but agree with what we are campaigning for in South Oxhey and Oxhey Hall and would like to support us. If so, you're very welcome to register as a supporter. Follow this link to see how you can make a difference.